Keynote Speech Ray Ybarra Maldonado. I’m anxious and excited to hear about what you folks create after coming out of this border issues fair, well, you go back to your home communities and what you do what you work on, because I’m sure ten years from now we’ll be talking about at the 2019 border issues fair, people got inspired, people got motivated and they went out and created something big and something beautiful because now is the time that we need that now more than ever. As Randy said, I started working on the Minuteman issue back in the 2005-2006. I’ll talk a little bit about that today. I’ll talk about some of the cases that we’ve worked on and leave some time for questions and answers if you have some at the end. Right, I’m originally from a small border town called Douglas Arizona the town, right, Douglas is in the house, for those of you not from Arizona I thought I’d put the map up there, right there you go so I love using this little picture because it gives you the impression that beautiful Douglass is right on the beach, oceanfront property, you know, cruises down to Cancun, not really but it is right there whoever did this map must not thought too highly of Mexico like not even important to put it there. my mom was born on the other side of that red line in town called la Pieta Sonora, I was born in Douglas, because I was born two miles roughly north of where she was born, I was born with as a US citizen so the concept of citizenship to me has always been something to question because I don’t understand where it’s the same community where we have relatives on that side of the border and this side of the border why I get the benefit of citizenship and the folks born two miles south of me don’t, and this also gives the visual where we come from in Douglas. My mom side of the family is from First Street, right, so my “Tata”, my mom’s mom, and dad and “Tata”, my mom grew up on First Street so if you’re thinking about there’s big border fence which Mr. Trump had already exists, alright, it’s already there. There’s big border fence and then there’s international right there and then there’s First Street and then it goes up. So, if you’re in our backyard in 1st Street and you got a good arm you can throw a rock into Mexico, which I wouldn’t do because it might hit somebody, but it trips people out when I’m taking down there and they see visually where we come from and the community I grew up in or I was born in so I moved up to Phoenix when I was about four or five. We would still go back for summers and at the time that I didn’t even speak Spanish when I was a little kid, so we’d go to my grandparents’ house and they only spoke Spanish with my mom and I was clueless of what was going on so we would go out and play in the border. We know that was our playground was the border, back then it was a chain-link fence, a chain-link fence with holes all over the place, so we would literally play a game where my brother who were much older and more courageous than would run into Mexico touch a piece of Mexico and try out who could run further before the Border Patrol would come in and say “hey go back to Grandma’s house”. Right, now you can’t do that, now you can’t play that game, now there’s not even one fence, now it’s a double fence with the canal with the ditch there and it’s impossible to get through right there in the border land, so I’ve grown up seeing the militarization of the border firsthand, and that’s a little bit what I wanted to talk about and if you don’t know where Nogales is, there’s direct south of us and then Douglas is to the east towards New Mexico. So, what is militarization? I’m sure a topic that you all are very familiar with nowadays. This is a presentation I’ve been doing about border issues for over a decade and it used to be like “oh let me tell you what militarization is”, now people know but I do like showing these visuals still for folks, and this is a little girl, I took this one here in Nogales back in 2005-2006 and just gotten off the school bus, alright, so she’s off her school bus and she’s walking back to her house and to me it’s a representation of the problem of militarization, and I’m sure you’re learning all about the environmental impact it will have, the impacts will have on wildlife, but to me it’s also important to stress the impact it will have on the psychology of young people like this little girl, when you grow up in a militarized zone it sends a signal to you that those on the other side are inferior and something to be afraid of and they’re dangerous, and when you see your own skin looking like the people on the other side of that fence you could internalize that you’re also inferior, that you’re also not wanted, that you’re also not loved, that you’re also not special. So militarization to me, annoys me and frustrates me for that reason, the impact that it has on young brown people living in the borderlands. Here’s the cameras that they have already up there, so when I lived in Douglas I went back I took two years off between my second third year of law school to come back and work on the vigilante issue in Douglas. I’d go out for the run and I know National Guard somewhere was watching me while I was out going for a jog. These are little towers that they put up with agents or cameras in there as well. A longer shot from Nogales where you can see the fence and then the camera post and then the lights that they lighted up at night, and here we actually have a tank, so I was out following the Minuteman back in 2006, believe this was in New Mexico and what we would do was we would take video cameras and find these are individuals who would come down to the border lands but to hunt for immigrants as opposed to help them out, right, so we thought, well, if we followed them with video cameras they wouldn’t hurt anybody because it’ll be on film, right, so that was the rationale so we’d go out 1 a.m., 2 a.m., 3 a.m., in the middle of the desert and one day we’re driving along and I say to my friends in the car “I think I just saw a tank” and I wasn’t getting a lot of sleep at the time so I thought maybe I was just being, you know, crazy or something, many men don’t have enough money for a tank, right, tanks are pretty expensive and we keep driving and keep seeing them, these actual tanks from the military, they were out there to observe and report allegedly and work with the Border Patrol to guide them to men that were coming across. I’ve walked up to them, to try to have a conversation with, him was not a fruitful conversation, well it was 2-3 a.m. in the morning, you know, pitch black out, but two, they are in the war zone mentality, it’s not like I’m an army guy and I’m only going to turn that off, I’m in Iraq or Afghanistan, but you’re on a mission you’re in the border zone and you’re thinking I’m gonna walk up to this guy and he thought he was in the middle of a war with the anger and the rage and yelling that he was directing towards me and if he’s doing that to me a US citizen, how are they treating migrants when they come across them? even though they’re not supposed to be Posse Comitatus Act engaging in domestic enforcement of the laws. Another picture from a rancher outside of the Douglas area. Roger Barnett, is that a name that means anything to people? Right, and now we have the problem of Warren Buffett’s son, have you heard about that one? Unbelievable, so, well I was in law school, so I grew up in the Phoenix area, I went to AC for undergrad, I went to Stanford for Law School, you’re supposed to say “Uh, Oh. From Douglas to Stanford”, so I’m at Stanford and I absolutely hate it, miserable, because I’m this live paycheck to paycheck, not a lot of love in the household, not a lot of money growing up, I went to public schools, went to state school for university and then I go to this rich privileged elite institution, I’m like “I’m here to learn about social justice and changing the world, what’s going on” you know, “you’re taking to me to go corporate law and learn about contracts”. So I was looking for an excuse to leave quite honestly and I applied for a fellowship through the ACLU called the IRA Glasser racial justice fellowship, I did my summer internship down here at the ACLU of Arizona, a woman name Elder Eisenberg helped me write the application, I sent it off and I think I was the only Latino that applied because they gave it to me, and the other ones that got it were like Kimberlé Crenshaw who’s this amazing scholar activist that teaches part-time at Columbia, part-time of UCLA, and I just got really lucky and they gave me money for two years to take off Law School to come down and work on this vigilante issue. One of the first things we did was a public records request on vigilante abuse, so I remember going to the Cochise County Attorney’s Office and then giving me boxes of documents of private citizens who had abused migrants crossing the border, that nobody had ever read before there were never in any newspapers, there were never anywhere, so we did with those documents is go down into Mexico, look for the individuals that were beaten and abused by the vigilantes to sign them up for a lawsuit to sue the ranchers and we ended up being successful suing Roger Barnett, getting what’s called U visas for some of the people that were abused and they now live here in the US and that was one of the first things we worked on. [Applause] Thank you. Around that time, look at this young guy, it’s trapping a young lady right here. That was back to 2005, I still have that hat, don’t have the t-shirt probably wouldn’t fit into it but I do still have the hat, and this is we were out there following the Minutemen, because right when I came back from my trips to Mexico to finding folks, we heard from the Southern Poverty Law Center that there was a lot of white supremacists that wanted to join the Minutemen project, brief over you for those that haven’t heard about it, don’t feel bad if you didn’t, hopefully it’s a period in our history that gets forgotten but private citizens came down to the border to encourage basically what we have now is, you know, border walls and more enforcement, etc. And we were out there training the folks and I wanted to share just one of the stories from the months that we spent in the desert because it’s had such a huge impact on my life and how I view immigration. We would come across people who were crossing and been walking for two, three, four days on a pretty regular basis, I think we probably found more people in the Minutemen found, right, and we’d give them food and water and help them out. One particular day, this was not too far from here out by about by ofle, we were waiting for the Minutemen to come out of their little ranch, they were doing a little shift change, so we’re sitting out there in front of their ranch, they’re lining up and I looked down the road and I see some bushes moving and I tell my friends that I’m with “I’m gonna be right back I’m just gonna make sure it’s not a migrant, that’s gonna be really bad as they come out as a Minutemen driving by”, right, so we go down there and I yell out in Spanish “I have food, I have water” or you know “I’m a friendly person” and all of a sudden I start seeing somebody come out of the bushes and they’re waddling, like you know with a cane, a jug of yellow liquid in the other hand and the person’s skin is so black that I can’t tell what their ethnicity is, purple lips. I’ve never seen anybody closer to death than this man, right, and I’m just in the state of shock because the Minutemen are about to come out and here is that looks horrible and so I tell him right away “hey you know we need to get you to a hospital, I can call you know the border patrol to get here to aero evacuate you out, you know you need attention” and he is “no, no, no, please, please, please, no , if that happens I’m gonna go to jail, I need to see my family, ok, you can’t call border patrol”. “Ok, that’s fine, well here’s some food and water and hey have you heard about the Minutemen? they’re right over here you know, you don’t want to go there” and he is “I was about to go that house and ask for help”, “no, no, no, you don’t want to do that, would be a bad idea”. So I give him the food and water and he asked me “can you give me a ride?”, every might I’ve seen out there y’all to go out there to do what you know it when the first question is “can you give me ride?”, “I’m so sorry I can’t” I knew law school training by then, I knew it was a felony to give someone a ride and furtherance of their remaining in the United States, so I said what I had said 100 times already “no I’m sorry I can’t do that against the law, I give you food and water you know, that way’s north”, every single time before that that was the end of the conversation, there wasn’t nobody asked me a second time but he did, he asked me a second time “please can you give me a ride”, I said “no you know I just-” I’ts all going through my mind you know, I’m the law school Stanford, I’m gonna lose my… won’t be able go back to law school, won’t be able to graduate, do ten years in prison, no I can’t do this. He asked me a third time, literally, looks in the backseat of my car “so I lay down right there nobody will see me, can you please give me a ride?” so then I’m thinking to myself while I go around to college campuses and talk about the border and immigration and human rights and fight for what you believe in and morality over legality, etc, what a hypocrite I am to not do something, right, so I tell him “alright man we’ll help you out, it’s broad daylight right now, the minimum’s right there, go back in there, we’ll come back at night and we’ll help you” out so he goes back into the bushes and I go back and tell everybody would happen as I’m driving back as I’m getting my car I remember him telling me “you have a coke?”, I’m like man this guy’s so near death like and all he’s asking for is a coke, it was to me one of the strangest things and we didn’t have coke, I didn’t even drink soda at that time, I remember going back to my friends, opening up the cooler that we had, there was actually two little cokes in there, it was the strangest thing ever so we went back and left that for him and told him “hey, you got stay tight”. Many men still haven’t left yet, they’re still waiting, I go back over there and I see him coming out of the bushes again, he didn’t trust me, didn’t believe me that I was going to come back, right, I mean why would you when you’re near-death, so I right back over there again, I tell him “look man, we’re gonna come back” , blabla, as I’m talking to him I hear the rumble of a diesel engine those of you from the border when you hear a diesel engine, right, like I live on first, lived on First Street Douglas at the time so I knew that sound of a diesel engine was probably a Border Patrol, so I said “alright man, hey look it, we didn’t talk about anything about a ride, you just sit right here, say nothing” so the Border Patrol pulls up to us, it’s just me and the guy, he’s leaning back against my car, now he tells me, rolls out the window he says “did you call any illegals” now I was like “nah man, I work for the ACLU, I’m here to make sure people don’t get hurt, don’t get abused, I don’t call, you know, anything”, looks at me, looks at the guy, obvious right obvious, just rolls up his window “have a nice day”, takes off. True story, right, crazy true story. So at that point the guy finally trust me, so he goes back into the desert and stays there and that at night people, brave courageous people come pick him up, get him up to where he needs to go. So that was my first time engaging in felony activity conspiracy back on the us-mexico border lands. I’m the volunteer attorney for No More Deaths Phoenix chapter but I’m not involved at all with the defense of the what happened with the Tucson folks. I know they have great attorneys and they’re gonna appeal and they’re gonna keep fighting and hopefully they get a victory at the end of the day. Transition to I went back to law school, making the story short, came back and was doing a work on the border in Douglas La Pieta. I met my wife at a Joe Arpaio protest, yeah, so fell in love, moved up to Phoenix, got married to her, we started a non-profit there, now it’s about 2008 or so and unfortunately the economy was you know going all the way down so I graduated law school all that good stuff and then where you didn’t have any money, car repossessed, her house was foreclosed on and I had my degree but I hadn’t taken the bar exams, I had no desire to be an attorney, I had no desire to practice in an unjust racist system, I didn’t want to be part of it. We were at the time then doing kind of similar minutemen watching but against Sheriff Joe, who was doing what he called crime suppression sweep for kids, basically sending a lot of law enforcement officers out into the middle of Latino communities and pulling anybody over for cracked windshield, no taillight and hopefully getting them deported. And then so I asked my boss, said “hey there any openings in the Phoenix office because I love fellow defender, it’s a great job great people to work with, fight the good fight, don’t charge anybody money” amazing, he said “no as no position” so I said “alright well, I’m gonna go work for this guy” then very understanding, very cool, move up to Phoenix and it takes me a week to realize this guy is a shady, not good guy, you hear rumors about them in the community right like oh they take people’s money, they don’t do anything, he was one of those guys and I didn’t do my research on it before I said yeah and we move up to Phoenix ,so I’m there for a week and I’m like well I can fix it, you know, I don’t know business, I don’t want business, let him do that and I’ll work the cases and it’ll be good. A couple, two or three days later, I meet someone who he charged five thousand dollars to get their papers and there was no op there’s no possibility, there wasn’t even application I could fill out to get the guy’s papers, it was just one after one after one, so after two weeks talking with my wife again and said “what do we do? I can’t go back, they just threw me a going-away party the federal defenders, you know, can’t go back there, can’t turn back and can’t continue to work for this guy obviously is this horrible, I’m gonna report them at the bar” and we just said well let’s just open our own law office, might as well right, so there’s so, we have Facebook and put on Facebook “have our own law office, criminal immigration” you know, “love to help somebody” and write in a little space smaller than this podium where it was like 200 bucks a month or something, which I thought like “oh my god, can we afford 200 bucks monthly, is crazy” and we did that and we got cases because we were activists, because we’d both been involved in the community for so long, okay, we know Ray, we know oculus, we can trust them you know, go let them help you. So I still remember the first check I got for Au visa of my first case which I stole from the other shady guy, right, come over to talk to me and then she’s shaking her hand to give me $1,000 and I’m shaking the graph to check for $1,000 and I grabbed it like “oh my gosh, oh my gosh, what I do now?”, so I go to the bank, cash the check and go buy a laptop to work the case because we didn’t have a laptop at the time, living at my in-laws house, no money saved up, little baby and we just got to make this happen. So one of our first cases was Miguel Angel Morales Sedano. Miguel Angel was arrested by sheriff Joe Arpaio at a construction site raid, so for those of you that don’t know Sheriff Arpaio, he moved from the crime suppression sweeps of randomly pulling people over, to going SWAT team whole nine yards in two places of employment and arresting on document immigrants for working, where they say providing false documentation, right. He was arrested there, the family came to me, took the case and let’s do it, let’s see what we can make happen, and other attorneys in the community would even call me out “why are you taking that case? there’s nothing that can be done, like the guy’s guilty, it’s a fake document case, there’s no remedy. The county attorney at the time is charging the crimes and giving police after being trained by ice how to get people deported for certain convictions, so it’s a no-win situation, you’re horrible for taking the people’s money”, right well, let’s find out, like let’s do something. I met some very intelligent creative people that had arguments on preemption, that it’s the federal government that should be prosecuting these cases not States because if you have 50 whatever states doing prosecutions differently than the feds, that’s a problem, right, we have to know what the laws are so it’s preemption, so I stole their argument and I filed a motion to dismiss based on preemption. The judge agrees with me on some of the stuff, says “alright you can’t use a driver’s license, you can’t use anything, you can’t use the I-9 documents attached to that, everything else can come in any other document that you signed you know waivers I’ll use my safety hat whatever, those can be used” so we’re going to go to trial just to preserve the issue to appeal it to the Ninth Circuit eventually hopefully and get a ruling the plea offer in all these cases with 90 days, 90 days and you’re gonna be deported, this guy didn’t want to be deported, married to a u.s. citizen they had a young baby, she said “no, I want to do everything I can”. “I’m sorry well if you lose the presumptive is like two and a half, I reference two and half or four years for felony and you’re you know you could go to prison for two and a half years versus just you’ve already done 90 days, you can get out and get deported you know tomorrow”, “no, I know what I want to fight it”. So the night before trial, I’m thinking to myself “what on earth are we gonna argue?” because you know the employers going to come in and say this is the name that I know him by here’s the documents that were used, you know, so my wife and I were in are now, we’re at a little bit bigger office, man was trying to Crump with the strategy of what to argue what our theory of the case is going to be and finally come up with “well, maybe it wasn’t him that turned in those documents, maybe somebody else did it for him” right, and the stars just lined up a trial and just went together, employer comes in and testifies “we’ll have someone hired” well the foreman gives them the application, the foreman collects it, the Foreman turns into HR, HR then hires, and okay and “how good of a worker was our guy?” “best work or the most amazing worker ever, he was a leader, my business is hurting now that he’s not with us anymore, great guy, everybody loved him, he’s awesome” alright well, “what about the foreman?” “well he just quit last week”, right so, like “oh now I have a boogeyman, boogeyman story, it was the foreman that did it, the former that mysteriously quit nobody knows where he’s at, because my guy is such a great amazing worker and the foreman would fabricate the documents in order to have this guy at his team because it makes him look better”, so the jury comes back and I still remember the clerk reading the decision “not guilty on all counts” amazing, like we do we’re going to win, we’re going to lose, so we could appeal the preemption issue, but we get the victory, a not guilty verdict was the amazing victory and then he gets still sent over to immigration, still got a nice hold because Isis in the fourth Avenue jail, goes immigration and the Florence immigrant and refugee rights project, another amazing organization, took on this case pro bono in immigration, he lost his trial that he could stay in the country they appealed, he won, they won the appeal, they got another trial again after two years of being in detention… he’s now a legal permanent resident. [Applause] Thanks for the Florence project, they did the heavy work so he won his legal, he won his immigration case, got legal status able to stay in the country, if he would have pled guilty you don’t have a chance to apply for that remedy which is called cancellation of removal so he would have just been deported, so that’s a great case for me to keep in mind in terms of the cases that were working with now under the trump administration. So we sued Arpaio in federal court federal civil rights lawsuit saying “you are preempted from engaging this kind of activity”, as a result of that lawsuit they stopped doing all of the rates right so that no more raids that cried after that lawsuit so that was the precursor of Miguel’s story to the bigger civil lawsuit to end up stopping that practice. There’s Miguel Angel right here with this little permanent resident paperwork to be able to stay in the country. Anybody recognize this young woman? young lady, anybody? No, close. This is an image from I think the New York Times, it’s my client Guadalupe Garcia, right. Guadalupe was the first dubbed as the first person deported by the Trump administration, two years ago last about this time two years ago, she had a routine ice check in, right, so she was in a raid similar to Miguel Angel but earlier so she did plead guilty to the criminal charge and because of a lot of activism from groups like went there the administration under Obama was not deporting folks with those convictions, she was one of the first ones one of her rage, is when the first ones, so she was allowed to check in at ice every year and she has to USS and kids, teenagers, and she went for her check in under Trump and the and Trump decided to deport her. One of the Saturdays in my life when I walked in with her to the ice office in downtown Phoenix and I didn’t walk out with her, I walked out by myself to go tell her children and her husband that she was taken into custody and they were going to deport her. Horrible, horrible, there’s great victories in immigration and there’s also great losses that impact you for life but we didn’t stop with that the community didn’t stop with that. That night folks were arrested stopping the van in which she was in as immigration was trying to put her back into Mexico, my wife included in that group, right, pretty amazing her to go sit in front of the van and take the no rest for that, unfortunately ice was eventually successful in removing her from the country. That was the moment when we came out where she still detained back there in the building and we had to tell, that’s her kids behind me there, we had to give the horrible news and then we went on CNN, MSNBC, talking about the case trying to grow them support and highlight what was going on with it and there you see the deport Arizona mom’s lawyer at reporters direct ler Asian of war on immigrants this is what went on national TV and said these things that Trump’s is going to do with immigration is going to be a declaration of war on immigrants and I said that in January, was February 2017. I didn’t think it was gonna get as bad as it’s gotten and though that was my language on national TV, that it’s a declaration of war, never did I imagine that they were going to go to the point of taking children away from their parents as the deterrent for people coming across the border, what could even fathom that as an option, I just thought they’re gonna try to deport more people, more people in proceedings, more judges more ice officers, complete opposite but they’re going after asylum seekers, people who are legally looking for asylum. Now, we continued to fight the case this was after we did what’s called a rule 32 in Superior Court arguing that her original conviction should be overturned because she was not properly advised of the immigration consequences and there’s been a change in law that point they Arizona case that should allow to reopen her case right, so it was a very intense hearing we put up the great fight that we could, but we lost that one too. We had a good judge, a judge I thought was going to rule in our favor, we had good legal arguments, didn’t win and miss Garcia is still in Mexico all right we’re still fighting right we’re still hoping that we’re gonna get her back someday different strategies and techniques for working on but nothing in the short-term looks like it’s going to be successful so it’s not always, I don’t get up here to tell you oh we win all the time, the world’s great a lot of unjust horrible things continue to happen, but we have to continue to get up every single day because this case made national news our office right, now we have 14 people who work there for attorneys, I can give you 20 more cases just as sympathetic off the top of my head and we go look deeper. I can probably come up with 50-75 that we have and that we are one law office in Phoenix and there’s a lot across the country to me to put it into perspective. I don’t like to argue legality because we lose on that issue it’s illegal to come across the border without documents it’s illegal to submit documentation and purposes of I-9 so I like to go with the bigger picture, and this is a quote from Stokely Carmichael, you can buy Stokely Carmichael fans, yeah very good, my youngest son is actually named after him, a little Stokely little Stokes and to me it’s mainly because of this quote that he gave at Berkley. I can’t remember the year but there’s also audio of us you can look it up on YouTube much more impactful but I’ll read this part to you I maintain that every civil rights bill in this country was passed for white people not for black people for example I and black I know that I also know that while I’m black I’m a human being therefore I have the right to go into any public place why people didn’t know that every time I tried to go into public place they stopped me so some boys had to write a bill to tell the white man he’s a human being don’t stop him that bill is for the white man not for me alright he goes on and talk about how the other issues in the community they don’t need a civil rights bill for the black community because a black community already knows inherently that they have those rights to live to vote to do whatever they want it’s the white people that need the bill to tell them stop messing with that person immigrants rights I see it the exact same way been doing this long time been from Guatemala up through Mexico from the Brownsville to San Diego in-between have talked to thousands of migrants not one of them doesn’t know that they don’t have the right to make a better life for themselves and their children not one of them doesn’t understand that they have inherit human right to make a better life to work to migrate human mobility they understand that what we need to do is pass a law so that everybody else can understand that yeah so that they can be educated on what human rights means and what it means to live in the 21st century in the connected community just said that says out there we don’t need to be talking about building walls we need to be talking about making the table bigger and I know each and every one of you feels that same way in your heart that’s why you come from your home that’s why you come on a beautiful Saturday and you come into this room and it’s an honor and a privilege for me to be able to spend time with you to be the same room with Mike Wilson right I see you in the back there Mike all the great work that he’s done for years providing humanitarian aid and to work with people and to get to know people who have that desire and passion in their hearts and together I am convinced I am confident that we will make the changes necessary not going to be easy not going to be next year not going to be two years from now but we continue to fight we continue to be on the size of morality and good things at the end of the day as they happen for me getting on Oak Hill will happen for many more people so thank you so much for your time look forward to any questions if I have any time left. First, are you at least 18 years old (except active members of the Armed Forces)? Have you been a permanent resident of the United States for a required period of time (either 3 or 5 years, depending on your case)? Have you lived within the state or USCIS district where you claim residence for at least 3 months prior to filing? If you just moved states, you need to wait at least 3 months to file at your new address. Can you demonstrate physical presence within the United States for a required period of time of 3 or 5 years (depending on your case)? Have you demonstrated continuous residence for a required period of time (again, 3 or 5 years, depending on your case)? Can you demonstrate good moral character? This means, have you ever been arrested, cited, detained? If so, how long ago? What were the charges? What were the results? Can you demonstrate a basic knowledge of U.S. history and government? Can you demonstrate the ability to read, write, speak and understand basic English? And, last but not least, are you able to take an Oath of Allegiance to the United States? Keep in mind that some applicants may be eligible for a modified oath based on their beliefs/religion. The fee to file for naturalization is $725.00, but if you can prove that you have a low income, there is a fee waiver form that you can include with your petition to get your fee reduced or even completely waived. Do you have a learning or mental disability? You might qualify for a Medical Exception to your interview and/or test. Are your parents U.S. citizens? 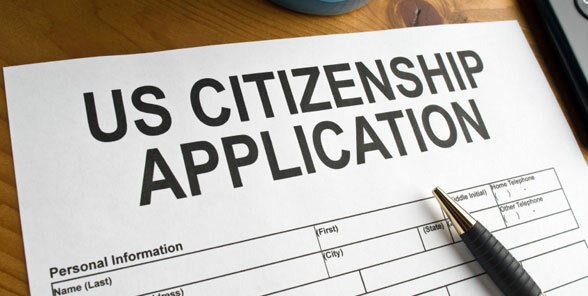 You might qualify to derive or acquired citizenship through them without having to go for an interview and test. Consult with an immigration expert. If you meet these requirements, congratulations! You are ready to make an appointment with an immigration expert to assess your case, and assist you in filling out your application. If you need studying material, look at the USCIS official website for help, https://www.uscis.gov/citizenship/learners/study-test. Also, you can reach out to various places in your community for resources, many non-profits, public libraries, community centers, and other similar places offer free or reduced fee classes to prepare you for the interview. Remember, you are not required to have an attorney to file for citizenship, but applicants usually choose to seek assistance from a lawyer or accredited representatives to review their records and ensure better results. Here at Ybarra Maldonado & Associates, we know the legal process can be burdensome or intimidating so we focus on facilitating the experience for our families to ensure they know how to proceed through each step of the process. To schedule an appointment with me or one of our amazing attorneys located in Arizona, please call 602-910-4040 or another reputable law firm in your area.